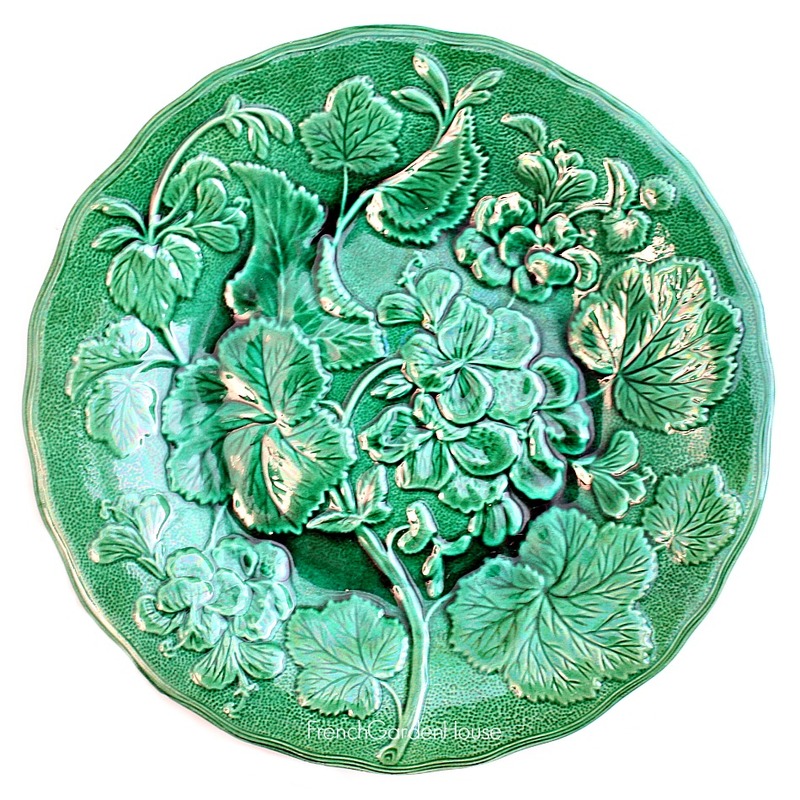 19th Century French Faience Green Geranium Leaf Plate with a stunning decorative design of Geranium Flowers and leaves. 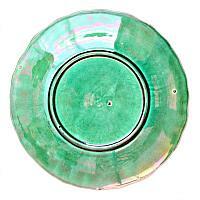 Glazed a rich, lustrous green, beautifully molded and the details are superb. Rare to find in this condition, thick and beautiful. 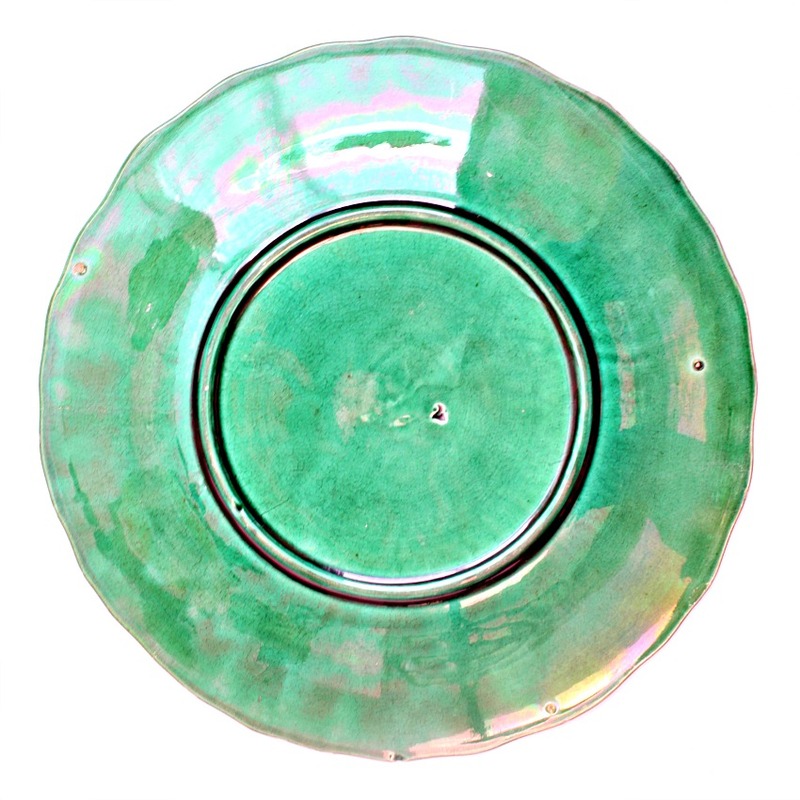 Unmarked, this dates to the mid 1800's, the stilt marks from the original firing are visible on the back. 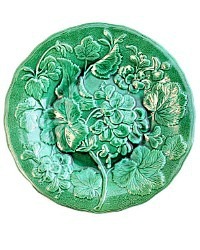 Display with your collection of French and English early majolica ware.